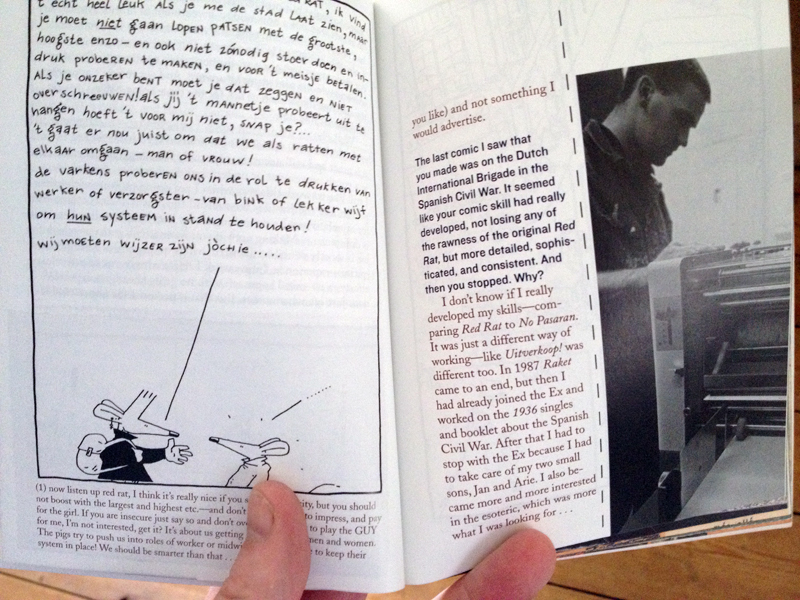 I read about Signal: A Journal of International Political Graphics & Culture, when Rick Poynor reviewed issue 02 for Design Observer recently, and his is a much better critique of this journal than I could give here, so I’ll keep this brief. 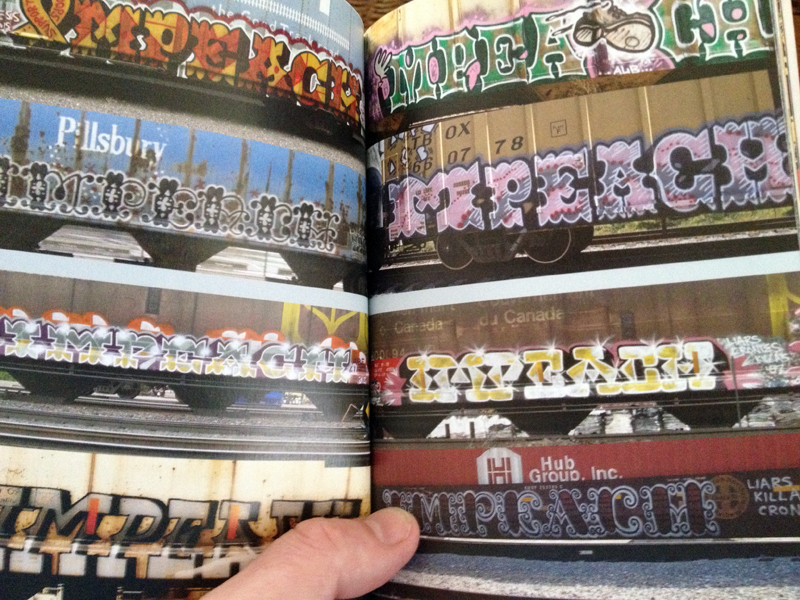 Published in the United States, issue 01 came out in 2010, and went totally under my radar. Now, in 2012, the second edition has been released, I snapped up both as soon as I could. 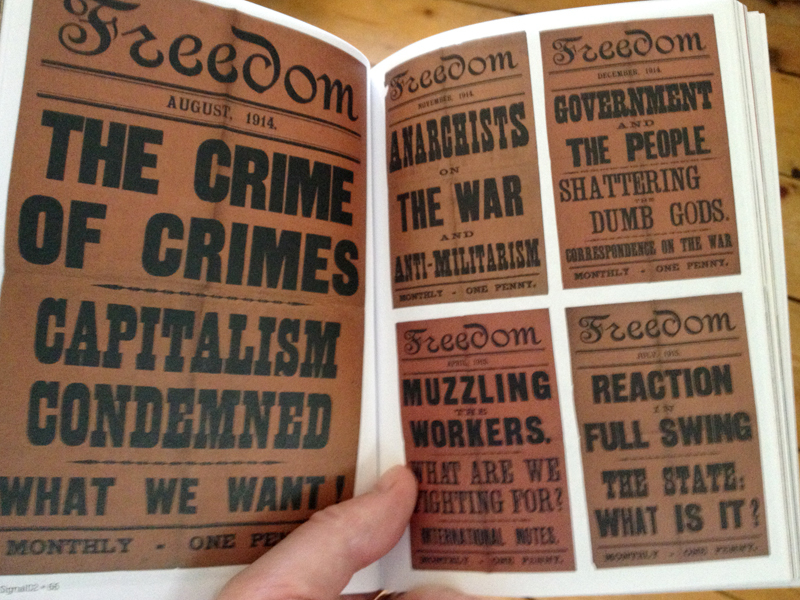 If you are at all interested in political/agitational graphic design, then they come highly recommended. However, I couldn’t promote one over the other as both are as packed with diverse and inspirational content as each other. 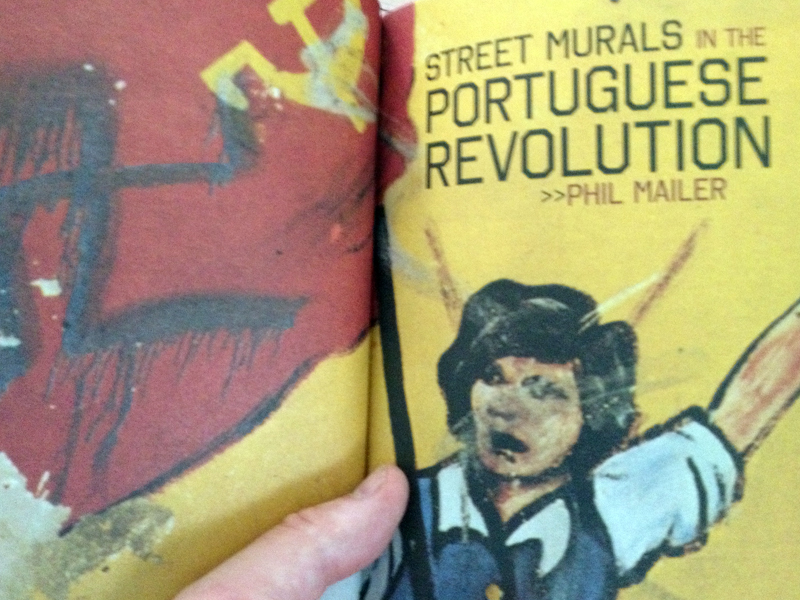 The latest issue features articles about Portuguese street murals; a painter from Mozambique called Malangatana Valente Nguenha, ; spreads of front covers of British Anarchist newspaper Freedom, from 1908 to 1917; and Gestetner Art, among other things. Issue 01 features the adventures of Red Rat, a comic strip by Van de Weert that evolved from the Dutch punk and squatting scene in the early 1980s; Mexican protest graphics that surrounded the Mexico 68 Olympics; the Taller Tupac Amaru printmaking collective; and graffiti artist Impeach, whose work travels the United States subverting ‘wild style’ graffiti on subway trains into Wild West style graffiti on freight trains. What I like most about this journal, edited by Alec Icky Dunn and Josh MacPhee, is the exploration of different cultures, examining work and contexts that don’t necessarily crop up in books about political graphic design. That, and the mix of historical and contemporary work. Both these things keep this small book alive and relevant, and stops it being filed under history with out any relevance to the modern day. There are some obvious ‘go to’ books for those interested in political visual communication: Liz McQuiston’s two volume set titled Graphic Agitation, Milton Glaser’s The Design of Dissent, and the recently published and excellent Beauty Is In The Street by Johan Kugelberg & Philippe Vermes. However, because Signal is published as a journal, it gives the wide range of contexts and material discussed a connection to the here and now, a relevant voice that suggests a continuation rather than a static recording. 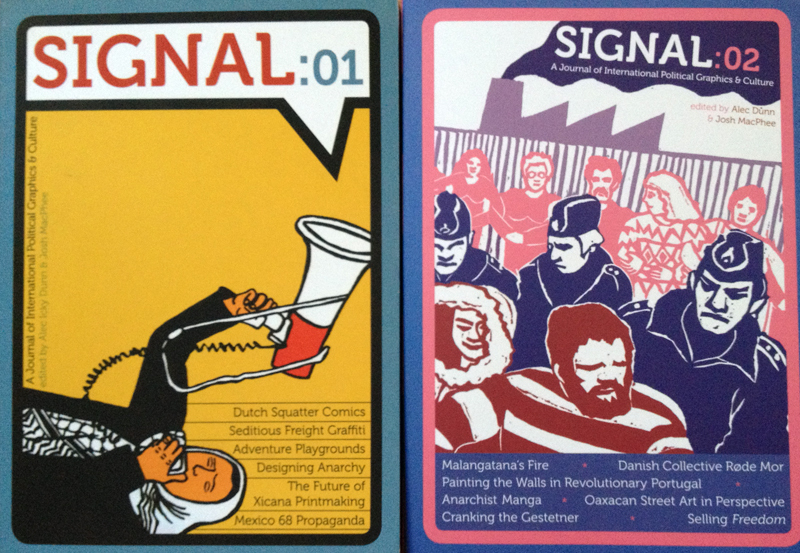 Now that I’ve found Signal, I just hope the gap between issue 02 and 03 isn’t as great.